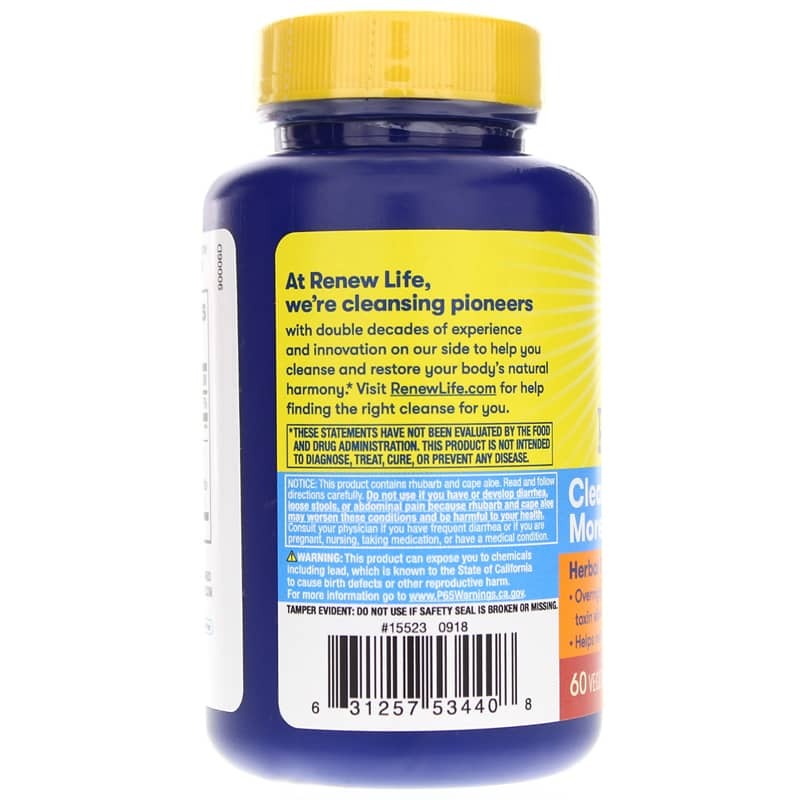 Cleanse More from Renew Life is a potent herbal formula with natural magnesium that helps relieve occasional constipation without cramping discomfort, and promotes the elimination of waste and toxins to help you feel rejuvenated. Contains NO: GMOs, yeast, wheat, corn, soy, gluten, salt, sugar, dairy, animal products, binders, fillers or artificial ingredients. 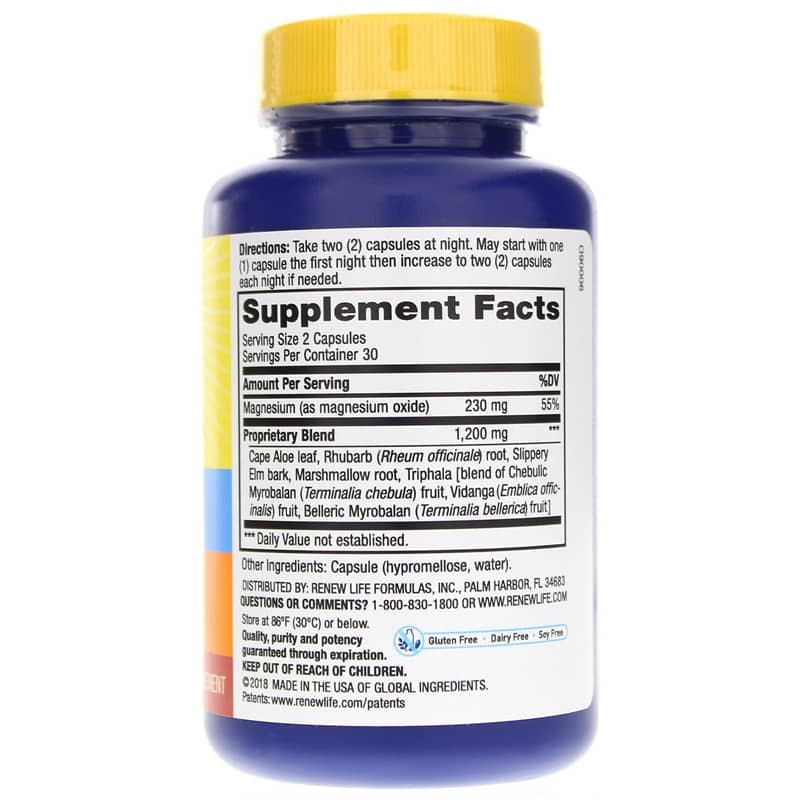 Adults: Take 2 capsules at night. May start with 1 capsule the first night then increase to 2 capsules each night if needed. Do not use this product if you are pregnant or nursing. Consult your physician before using this or any product if you are trying to conceive, taking medication or have a medical condition. Not for prolonged use. Do not exceed recommended dose. Notice: This product contains cape aloe and rhubarb. DO NOT USE IF YOU HAVE OR DEVELOP ABDOMINAL PAIN, DIARRHEA OR LOOSE STOOLS. Read and follow directions carefully. Keep out of the reach of children. 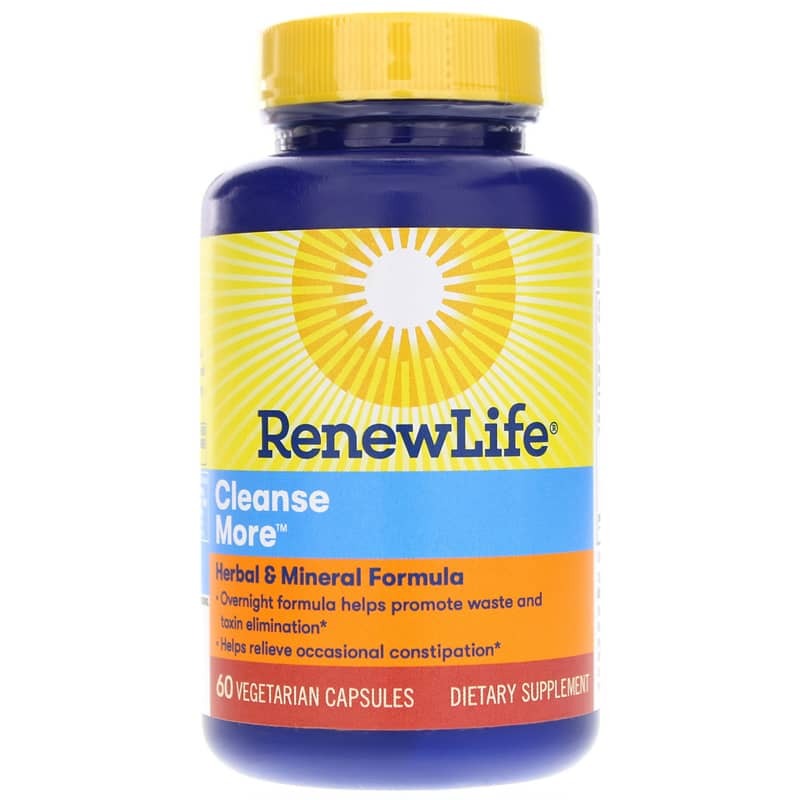 Cleanse More is the best I have used. Also at a good price. Easy and convenient delivery. Consistent product results. Worked better than any product that I have used in over 50 years.